Our spring holiday can be summed up in two words, “Very Enjoyable”. We left Durham on a clear morning, arriving for Brunch at Caunton Beck, our usual stopping place. Our first visit was to Hylands House, where we had a private tour of the house, but sadly did not have time to see the gardens. On to our hotel at Cheshunt, where we stayed for the entire visit. Our first outing on the next day was to the Tiptree Tearoom and Visitor Centre, where we were able to view many interesting artefacts from the early days of production, in1865. Most of us purchased a jar of the famous Strawberry Little Scarlet Conserve, plus other goodies. We travelled on to the Beth Chatto Gardens near Elmstead Market, where we spent the rest of the day. What a delightful place. I had longed to visit there, and was not disappointed. 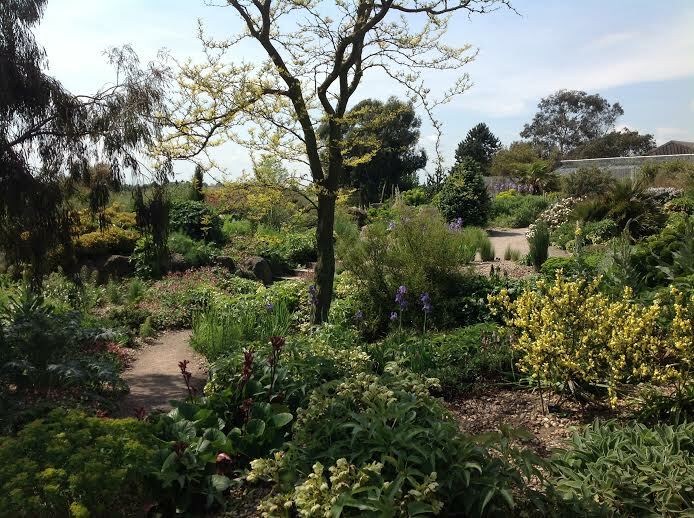 Despite the cloudburst, plus hailstones, seven of us still took a guided walk around the gardens, led by the Head Gardener. The sun eventually shone, and after ice creams all round we returned to our hotel, perhaps a little damp, but definitely happy! 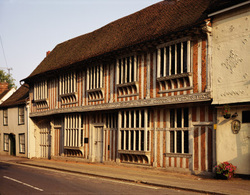 The following morning was spent in Colchester, Britain's oldest recorded town. Early afternoon saw us at the Coggleshall Grange Barn, a fantastic Medieval Barn, beautifully restored and used. Still in Coggleshall, it was on to Paycocke's House a National Trust property. We had time to have a lovely tea sitting in the gardens. 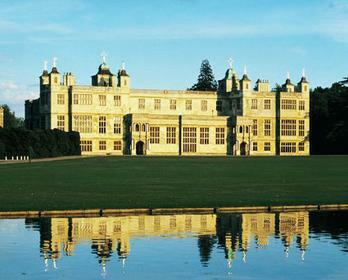 Thursday morning we were on our way to visit Ingatestone Hall, the private home of Lord Petre. This was a real gem of a home, and with an excellent tour guide we were all able to enjoy both house and gardens. The afternoon visit was a surprise inclusion, to Castle House, Dedham, the home of the painter Sir Alfred Munnings, (1878-1959). Our final day was a visit to the Bob & Tamar Manoukian Production Workshop in Thurrock, a real treat. We were shown how the sets and scenery are created for the Royal Opera House in Covent Garden and Birmingham, plus some of the sets which are sent to New York. All the details of just how things are put together, measured to the last degree, just fascinating. 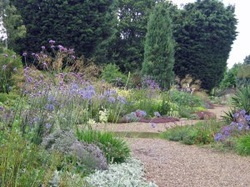 Our afternoon visit was to the RHS Hyde Hall Garden. The sun shone, and some of us wilted, but once again an interesting and informative visit. Saturday saw us on our way home, but not before another treat; this time a visit to Audley End House, an English Heritage property. Our very grateful thanks go to Jacqui for providing us once again with a very varied and interesting holiday. Thanks also to Alan our coach driver who never fails to get us to the nearest point, avoiding all puddles!